Freebie TpT Product coming up at the end…just for readers of my blog! As I stated in my blog post on Word Walls, I love words. I have been surrounded by words my entire life, first in books, magazines, and newspapers, and then the internet and apps. I will admit that I am a Words with Friends junkie…I have played this game for nine years now and show no signs up stopping anytime soon. (Username: Jan119 – send me a game request!) In addition to words, I love playing games, so imagine my excitement when I first realized that there were games totally devoted to WORDS! Last year, I discovered Words with Friends Edu and jumped on it as a fun activity for my tutoring students. However, several months ago, the company discontinued the Edu version online. However, I still think that Words with Friends, Scrabble or other word building games are a great resource for students to learn and study new words. While playing WWF, I have learned many new words that I had no idea existed until either I or an opponent used them in the game. While I don’t believe in students learning strange words they will never use, I do want them to learn and be able to use some of the more common words played in the game that they will see in books, textbooks, and the internet. One of the best features of the WWF Edu website were the many lesson plans to use in conjunction with the game; fortunately, I saved all the lesson plans in my Google Drive so you can access there HERE! In an article posted on Edutopia about building vocabulary with games, it states that “Developing students’ vocabulary doesn’t have to be a chore. Given a creative mindset and some openness to exploring, we can find opportunities to educate and stretch students’ understanding with play. Far from being wasted time, these exchanges can help motivate students to realize that playing with language can be enjoyable”. Furthermore, the website Reading Rockets published an article on using technology tools to promote vocabulary instruction and had this to say about having fun with words: Whether directly teaching vocabulary and word learning strategies, or increasing students’ volume of reading, an important research-based principle that applies across the board is to promote a lively interest in words through student expression and participation in a learning community that enjoys playing with words, builds on individual interests as well as curriculum needs, and emphasizes self-efficacy in word learning (Beck et al., 2008; Graves & Watts- Taffe, 2008). Word Monkeys – I have to say this is my top choice; I have used it with both struggling readers and gifted students, both in schools and during tutoring. The concept is simple; players take turns making words with the seven cards in their hand and the top card on the draw pile. The longer and more complex the words are, the more points they receive! I remember pleading with my RtI reading group to play on Fridays, even though some were tired of the game! Word Shark – Another fun game that has players building words with mats. The game can be easier for younger students (mats already have the rime/word family on the mat, and the player just has to provide the beginning consonant). For advanced or older students, you can use the blank word mat where players draw both vowels and consonants and build their own words. My Word – A fast-paced game with the dealer continuously placing vowel, consonant, digraphs and suffix cards on the table while the other players watch for words they can create out of the cards. When they see one, they have to grab it and make it…the more words they can spot and build, the more points. I found I had to make some adjustments for younger students, such as pausing in my dealing so they could have a chance to look over the cards and not get overwhelmed. Word Connect – I only recently learned about this app from a tutoring student…a fun app that displays letters and the boxes for the words; the player has to put the letters in the correct order to make the words. It sounds easy, but I was surprised at how many words you can make from just three letters; it’s all about putting the letters in the correct order. The levels are easy at first but gradually become more difficult as they pass the beginning levels. Word Ladders – This is not really a game, but it’s so much fun that I’m including it on my list. Students start at the bottom with a word, then have to add or remove letters based on the clues as they “climb” the ladder. I would put together packets of these for both RtI and tutoring students as it’s a great warm-up for a group or tutoring session. The link takes you to the Daily Word Ladders book you can buy, but you can also find others word ladder sheets online: here and here, as well as many other websites. Bananagrams – I only recently discovered this game, but it’s already a favorite! The banana-shaped pouch contains Scrabble-type letter tiles, and players race each other to build words! 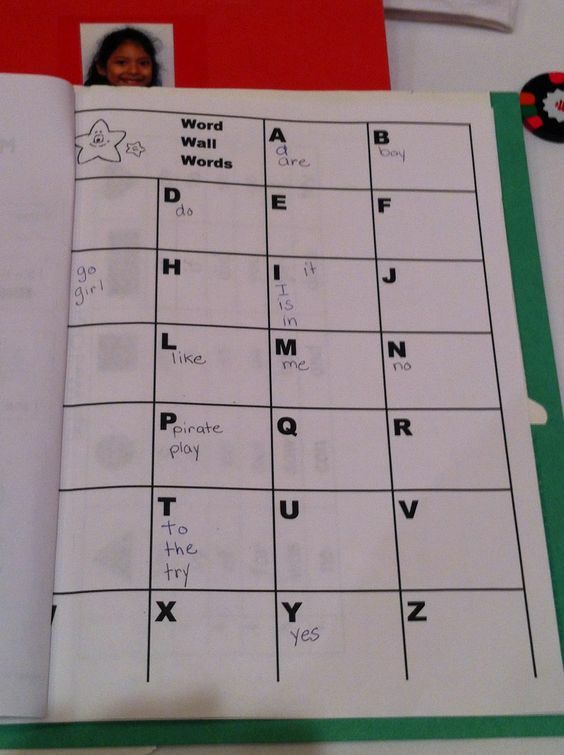 I recently played this with two sisters I tutor; 5th-grade sister did fine on her own, but I had to help the 3rd-grade sister…she didn’t understand the all words had to connect; she wanted to just build isolated words from her tiles (although that could be an option at first with younger kids). Another option is that there is a version especially for young kids, My First Bananagrams! Okay, so playing these games is fun…but what about the LEARNING aspect? Of course, these games can help foster phonics, spelling and vocabulary skills, as well as a love and knowledge of words. But all of that is nebulous and hard to measure…so I took it a step further. As the games were played, I had students write down the words they built or played. After the game, I had them choose 2-3 words they either did not know the meaning of, or just “kind of knew it” (have you ever asked your student if he/she knows what a word means and they answer yes, but then can’t give you the definition? That’s “kind of knowing it”). I had them record words on this sheet, find out the meaning…either with my help, other students’ help, or the internet, and then write the definition and use in a sentence. I then add these words to lists in either Vocabulary/Spelling City (for younger kids) or Quizlet (for older kids). I have the students return to these words over the weeks by using them in a variety of vocabulary and spelling activities. Even after they have “passed” their tests on the words on Vocab/Spelling City or Quizlet, I still have them use and review the words during the year….that’s what ensures retention of words. My latest Teachers Pay Teachers product is all about Word Games, and the activities for practicing and retaining the words! There are several fun vocabulary and spelling ideas that incorporate social media and popular culture. However…YOU, the reader of this blog, can have a copy for free, by clicking on the link below! Please use the comment section to tell me about any other word games and word study activities you use in your classroom! LINK to Google Drive version (make a copy and edit any way you want)! 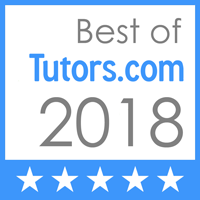 Author Jan AnttilaPosted on November 27, 2018 Format ImageCategories Classroom Games, literacy, literacy-rich environment, phonics, Spelling, Uncategorized, Vocabulary, Word Study, Word WorkTags Classroom Games, literacy, phonics, Spelling, Vocabulary, Word Study, Word Work2 Comments on Game on! What’s Your Word? How can we ensure that our students have “a way with words”? In my previous blog post, I gave an overview of the elements of a literacy-rich environment: classroom materials, classroom design and layout, and reading and writing using authentic activities. I promised that I would go into more detail about each one, so the first topic will be WORD WALLS! In this article from Questia.com, a word wall is defined as: “An ongoing, organized display of keywords that provides a visual reference for students throughout a unit of study. The words are used continually by teachers and students during a variety of activities.” However, when I first started presenting on word walls during my literacy training sessions, I discovered that many teachers had a narrow definition of which teachers and students should use word walls…namely primary teachers and students. But word walls are important for ALL students in ALL classrooms…pre-school to university! And (shocker!) they don’t have to be on a WALL! I think it’s great that there are so many Word Wall card products on Teachers Pay Teachers…teachers don’t have the time to be making all those cards! But…there is no need for YOU to be creating the words for the wall…students should! It is far more powerful for the students to write the words that will go on the wall! Teachers just need to guide them in which/what words to include on the wall and make sure the handwriting is legible and the word spelled correctly. Student created word walls elicit far more excitement and ownership than a professionally created wall! Digital word walls! (I made this one using Padlet; here is a video tutorial on this! Personalized Word Wall; here’s a free template on TpT! One of my favorite memories from my literacy training years was presenting our district’s balanced literacy program to our Specials teachers (art, music, PE, band, orchestra, etc.) and having some of them create word walls for their content areas! Check out the P.E. wall, and what a middle school teacher has done in her classroom! Photo taken by me many years ago; can’t remember what amazing teacher did this! I love how this Sped Classroom is so print-rich and has a writing word wall! Used with permission from Melissa Finch of Autism Adventures Blog and TpT Store! Okay, okay, so you now understand the importance and power of word walls…whether they are on a wall or not. Now…how do we get students to use them? Here are some ideas and resources for you! Word Wall Storytelling: A “traveling” story where one person begins with a word and then others continue with their own words…no repeating! The teacher needs to keep track of which words are used. Morning Mystery Message: Write your morning message to kids as usual, but leave some blanks where word wall words should go! Have kids guess which words they are! Dictionary Word Wall: This is similar to Balderdash…make sure to have the real definition AND fake ones ready! Double Trouble: Students guess the word using phonemic elements. And not from the book…but check out this FREEBIE of word wall center activities from Mr. Giso’s Born to Read blog! And here’s another FREEBIE from The Colorful Apple on TpT! Word Sneak – this is a game based on Jimmy Fallon’s Word Sneak game on his show! I can’t wait to play this with one of my tutoring students! So many GREAT ideas in THIS resource too…my faves are “Unfolding Five Words in a Story”, and also the drama and musical groups activities! “Guess My Word”. I found the “Guess My Word!” idea on Pinterest, but the website it links to has been discontinued, so I created my own version using Wheel Decide! Check out my Pinterest board on a Literacy-Rich Environment for more information on types of word walls and activities! So what do you DO for word walls in your classroom? Do you have other ideas for how to do word walls and activities to use with them? Let’s hear it in the comments! SHARE the great things you are doing with other teachers….and until next time, “WORD UP”! Author Jan AnttilaPosted on September 17, 2018 Categories classroom design, education, literacy, literacy-rich environment, reading, teachers, teaching, Uncategorized, Vocabulary, word wallsTags literacy, reading, teachers, Vocabulary, wordwalls, writing1 Comment on Word Walls? Word Up!